We have a permanent open-space at LimeWharf E2 from 6.30-8.30 every Wednesday throughout 2017. We use this to meet, create and collaborate. We have energy, people power, skills, space, glitter and experience. We need you. [LimeWharf is an accessible, gender-neutral space. Sexual Avengers is queer-led and queer-majority but we actively encourage participation by all genders and sexualities. We operate on trans-inclusive, intersectional feminist principles.] If you have any questions or would just like to speak to a human before you come in person please feel free to contact any of the organisers personally. We want visibility. We want to see ourselves and our history reflected in our built environment and will not wait for the authorities to act. 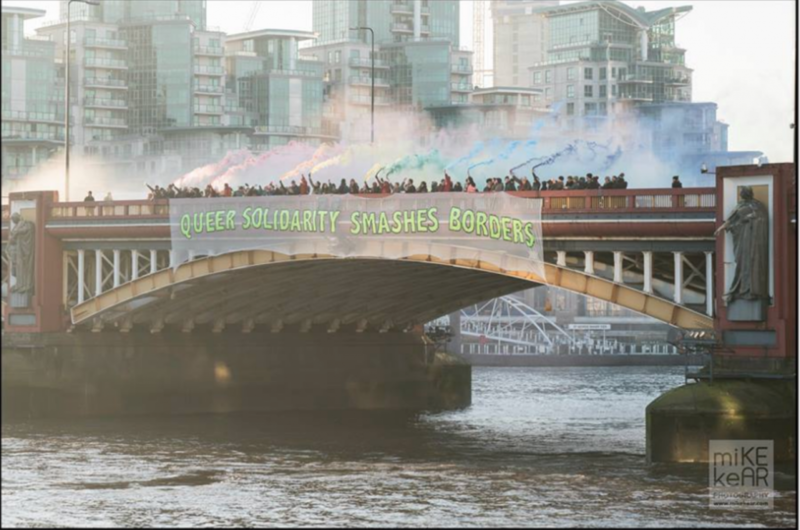 We want to build on the LGBTQI+s rich history of street-art and activism. We are reclaiming sites of personal LGBTQI+ importance, historical significance and current political provocation to continue our journey towards full LGBTQI_+ freedom.